How did it become mid-May? Minnesota has such long winters that it feels like you blink and practically miss Spring! By Memorial Day I’m already in full summer mode. Memorial Day is almost here! Memorial Day honors men and women who died while serving our country. It’s one of several patriotic holidays that we observe in the United States. 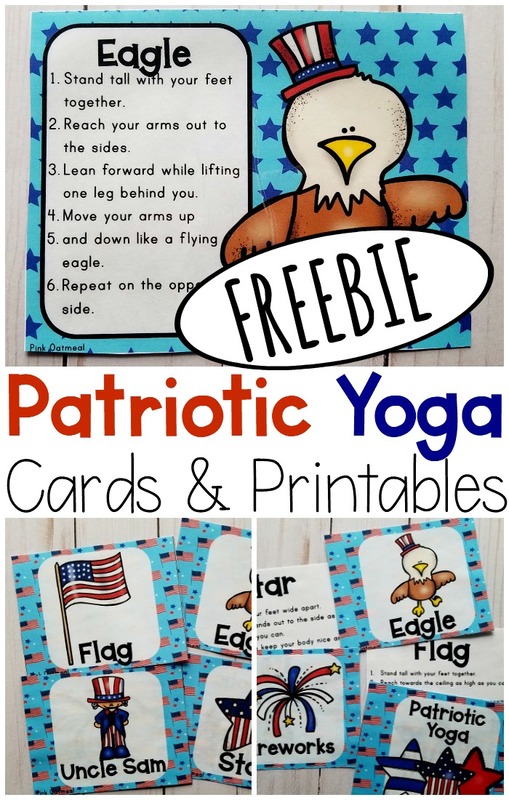 Patriotic yoga is a fun activity to incorporate into learning about Memorial Day, President’s Day, Fourth of July (and all patriotic holidays)! 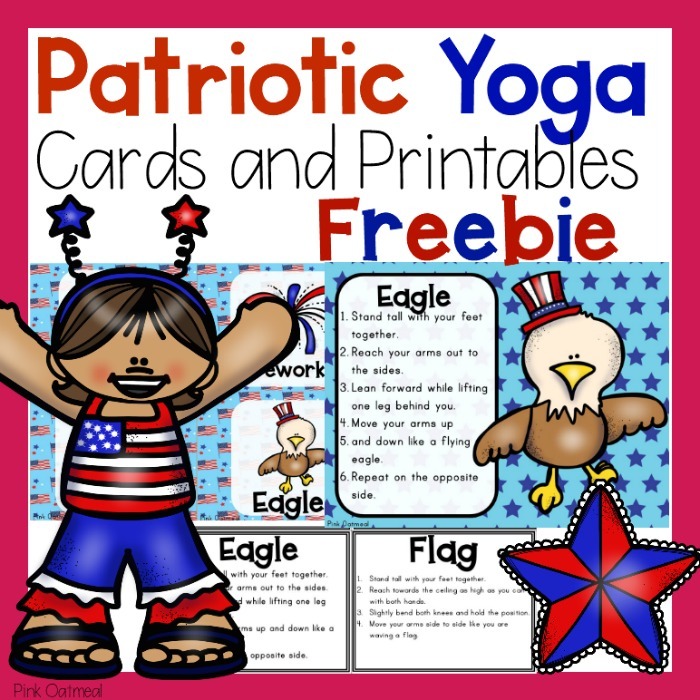 Whether you are posing like a flag or Uncle Sam be sure to enjoy your yoga! Modify the poses as needed. 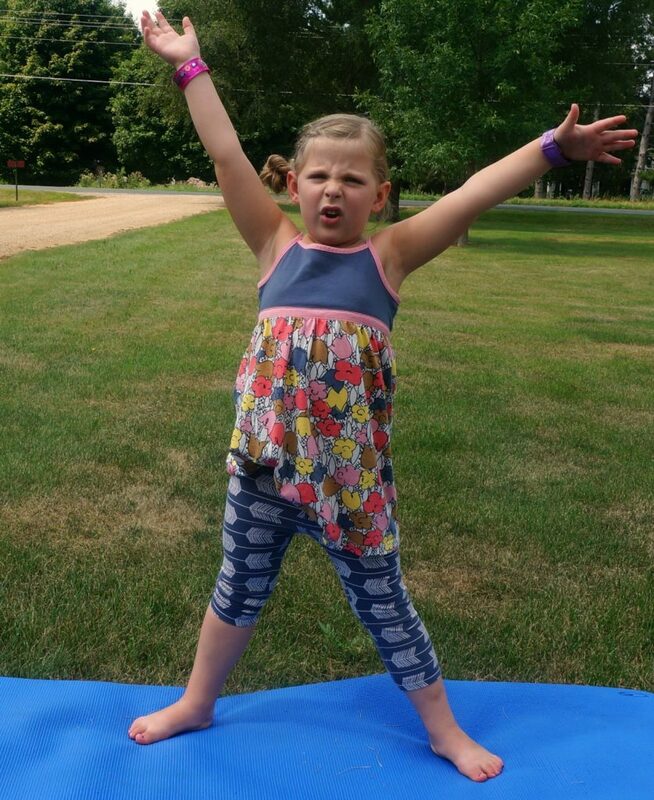 Let the kids enjoy the yoga and be creative with their poses. Chair Pose – Wave the flag side to side while in this pose! Airplane Pose – Move your arms up and down like an eagle! Start seated criss-cross on the floor. Place your hands in front of your chest with the palms pressed together. Breathe in and raise your hands over your head. Breathe out, clap your hands together and bring them back to in front of your chest. Repeat with each breath. 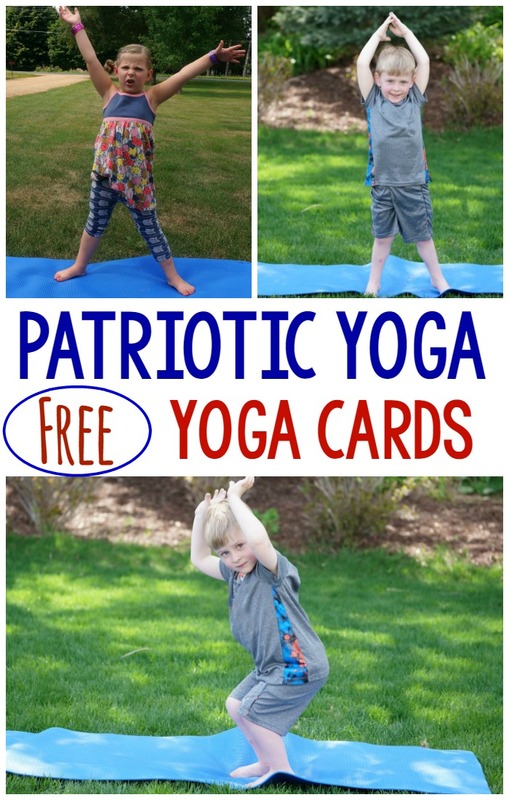 At Pink Oatmeal we are offering you not one, but two free yoga card options! The two sets have the same poses, but a different presentation. This will help give you a feel of what yoga we offer at Pink Oatmeal! Grab one or both sets in the Freebie Library today! Clip Art Yoga – No pose pictures but fun pictures related to each pose. Get it in the Freebie Library! 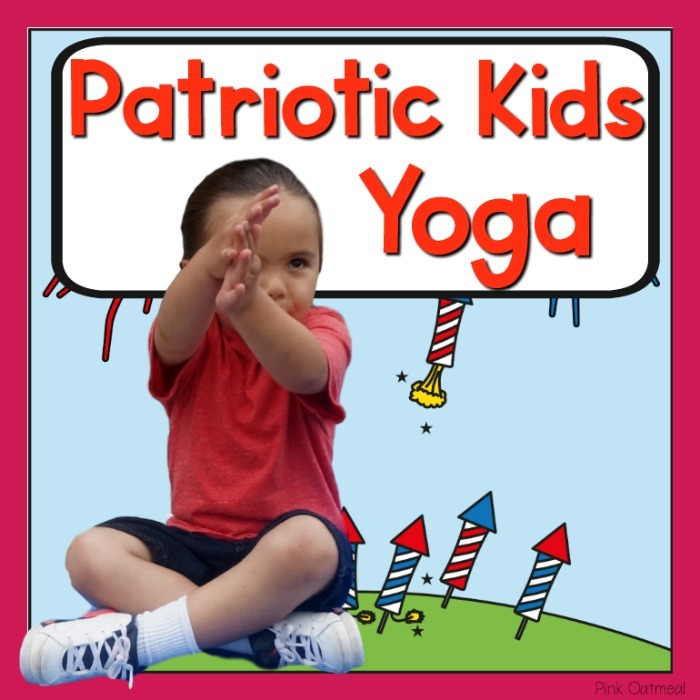 Kids Patriotic – Pictures of real kids in patriotic themed poses! Get it in the Freebie Library! Check out my shop on the blog or Teachers Pay Teachers store! 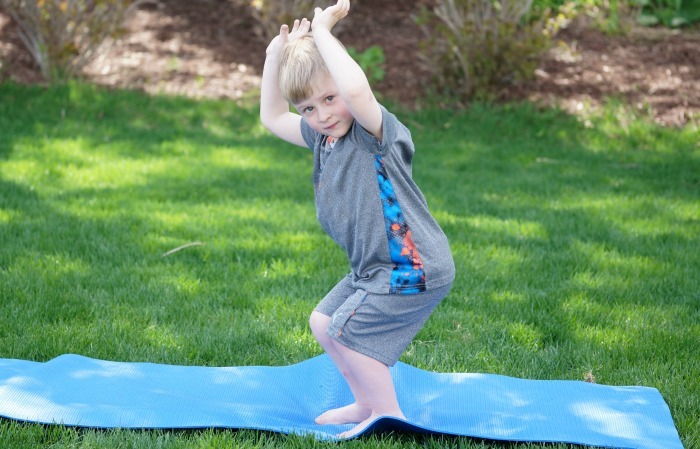 It’s full of ideas for physical therapists, teachers and parents to incorporate movement with learning! Previous Post: « When Can Baby Sit Independently?